Ah, the old neighbourhood – I used to live there you know. A mix of light industrial fashion industry warehouses next to council estates and victorian family homes. I remember the security guards with the “talk to the hand gesture” when I tried to cross the yard and shave off 10 minutes from the walk to Manor House Tube Station. Now we’re sending Hitman to do a job: clean up the hood and turn it into the place that it was 10 years ago. 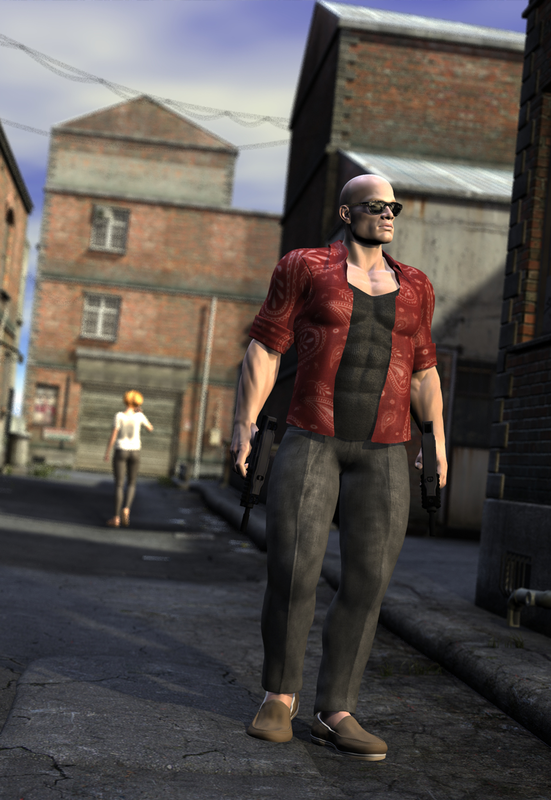 Hitman is wearing Canvas Crocs, much like the ones I used to have (albeit mine were green and red). Rendered in DAZ Studio 4.6.